The following text is brought to you as a public service from Smoke Free Movies, based on ads in Variety, The Hollywood Reporter and State Legislatures. See the ad here and learn more about the issue here. For decades, tobacco companies paid Hollywood to push smoking in movies. Why are state taxpayers doing it now? In March 2012, based on documentary evidence, the US Surgeon General reported that, for decades, US tobacco companies gave Hollywood valuable incentives to promote smoking in movies. Through state film production incentives, states hand hundreds of millions of dollars to producers of movies with smoking. Research indicates that exposure to on-screen smoking accounts for a million current teen smokers in the U.S. Indiscriminate film subsidies undermine states’ own efforts to keep kids from starting to smoke and avert billions in health costs. No state can afford this deadly, wasteful policy conflict. Fortunately, the fix is straightforward. As the US Centers for Disease Control and Prevention (CDC) recommended last year, states can simply make future media productions with tobacco imagery ineligible for public subsidy. There’s no First Amendment issue. After all, state subsidy programs already filter out film projects for a range of other content. Whether or not you think film subsidies make sense as economic development policy, collateral damage to kids’ health makes them unsupportable. It’s time to mend state film incentives or end them. Learn more at bit.ly/fixsubsidy. Smoking in movies kills in real life. Smoke Free Movie policies — the R-rating, certification of no payoffs, anti-tobacco spots, and an end to brand display — are endorsed by the World Health Organization, American Medical Association, American Academy of Pediatrics, American Heart Association, Legacy, American Lung Association, Americans for Nonsmokers’ Rights, American Public Health Association, Campaign for Tobacco-Free Kids, Los Angeles County Dept. of Health Services, New York State Department of Health, New York State PTA, and many others. Visit SFM online or contact: Smoke Free Movies, UCSF School of Medicine, San Francisco, CA 94143-1390. The bill was made all the more contentious by the fact that the Economic Development Commission is currently in possession of an application for the existing Regional Tourism subsidy from Gaylord Entertainment Co., which is constructing a massive hotel-convention center complex in Aurora, Colorado. The complex, located close to Denver International Airport, has been criticized for its potential to leech convention center business from Denver. 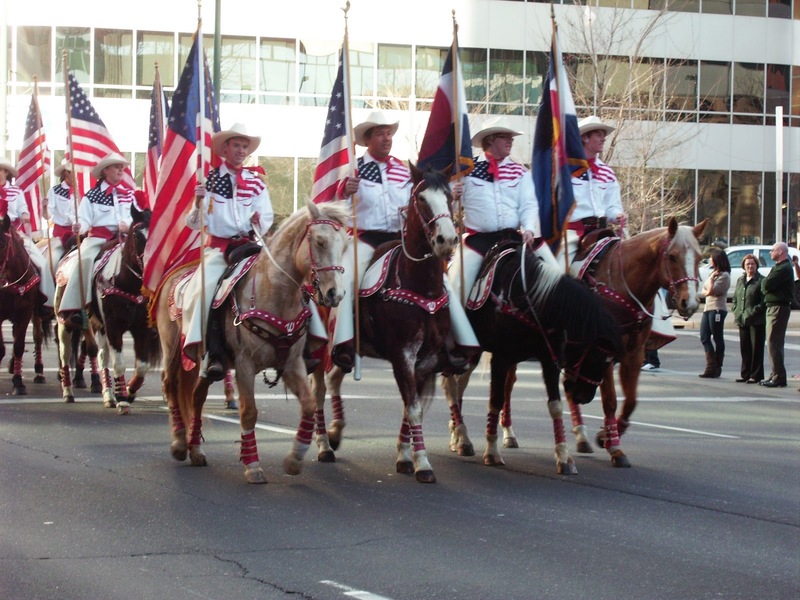 Confirming these fears, the announcement by the Western Stock Show–a Denver institution for over a century–of its intent to relocate to Aurora gave the issue a public symbol in the media. The Gaylord complex is already approved for a tax increment financing (TIF) subsidy by the city of Aurora and has applied for an additional $170 million in sales tax TIF subsidies through the state’s Regional Tourism Act. 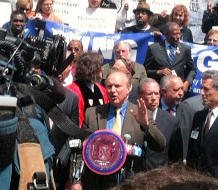 James Parrott of the Fiscal Policy Institute at a press conference on the Fair Wages for New Yorkers Act. What started out as an attempt to guarantee benefits to Bronx residents at a redeveloped armory over a decade ago found its way to City Hall Monday with the passage of Fair Wages for New Yorkers Act. The bill was sponsored by Bronx Council Members G. Oliver Koppell and Annabel Palma. Efforts to redevelop the city-owned armory fell through in 2009 when the city prevented a developer from entering into a Community Benefits Agreement with the Kingsbridge Armory Redevelopment Alliance. In response to that campaign and concerns regarding wages in city-subsidized developments, a new city-wide campaign for better wages took hold led by the Retail Wholesale Department Store Union and Living Wage NYC a coalition of community, civic and religious organizations. The final version of the Living Wage bill is narrower than campaign organizers would have liked (tenants of subsidized project won’t be covered, for example). Still, supporters of the bill report it is the strongest living wage law in the country and assert this is only a first step to expand Living Wage ordinances in the city. Tenants of subsidized firms (e.g., retail stores, restaurants) would be excluded. On a worthwhile transparency note, the bill would require firms that receive more than $1 million in subsidies (whether or not a firm would be subject to the living wage requirement) to provide wage data for all employees in lower-wage sectors such as retail and restaurants. This goes beyond what is currently required in an already laudable transparency bill approved in December of 2010. However, it is unclear whether this bill will go into effect. Last week, Mayor Bloomberg gave an address attacking wage requirements at subsidized firms and during a radio show compared them to Communism. Bloomberg has vowed to veto the bill and if that is overridden (as is expected) he will continue to fight it in the courts. Regardless of the bill’s future, a victory lap is being taken by City Council Speaker Christine Quinn, whose political dexterity has allowed her to use the issue advantageously as she positions herself to run for mayor next year, (Mayor Bloomberg is term-limited out of office). In the New York City Council, where bills generally only move forward with support of the Speaker, Quinn skillfully maneuvered the living wage bill through controversial waters. In the year ahead, irrespective of her audience, she can take credit with community and labor groups for her support of a campaign to help lift workers out of poverty and with the city’s business interests for curtailing the bill so much it would cover a relatively small portion of the city workforce. Quinn has received both praise and criticism for walking out of a press conference celebrating the living wage bill when a heckler refused to apologize for calling Mayor Bloomberg a “Pharaoh”.